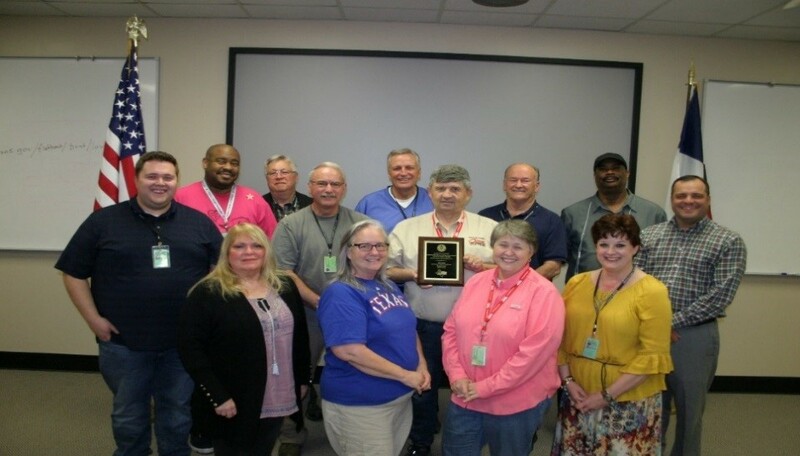 Denton County Crime Stoppers program won the awards at the 30th Annual Texas Crime Stoppers Conference held in Schertz, Texas last month. The program recovered $ 369,159 in narcotics and property for the year 2017. Since its inception 26 years ago, the program has recovered $ 7,648,243 in narcotics and property. Warrant deputies cleared and added charges of 260 based off tipster information for the year 2017 and 6,726 cases and added charges since inception. Awards are given annually to Crime Stoppers programs within the state of Texas. The population for large agency is 500,000 to 1 million citizens within the county. The local Crime Stoppers program covers all of Denton County and assists law enforcement with taking anonymous tips and information on criminal activity or wanted persons. The Denton County Crime Stoppers has been an active non-profit program for 27 years in Denton County. Its focus is providing the citizens of Denton County an anonymous reporting system to law enforcement regarding criminal activity, wanted persons or identifying persons of interest and overall criminal activity within Denton County. “This award would not be possible without the assistance of all law enforcement agencies within Denton County. Those agencies earned this award. Every tip the investigators work, every tip that leads to an arrest and every tip that seizes drugs and guns off the streets makes the citizens of Denton County safer. It also insures the tipster remains anonymous. This is how we keep our county safe. By hardworking law enforcement and diligent citizen’s reporting criminal activity,” stated Chairman of the board, Dave Westfall. The Crime Stoppers program gives anonymity to people who submit tips. Tipsters remain anonymous throughout the investigation and if the information they provided leads to an arrest, they remain anonymous even when claiming their cash reward. Taxpayer dollars do not pay the reward money given to anonymous tipsters. Funding for the Denton County Crime Stoppers program comes from donations, fundraising and court fees from persons convicted of crimes.